New chief medical officer at Saint Louise Regional Hospital. St. Louise Regional Hospital and O’Connor Hospital appointed Arthur Douville, MD, as chief medical officer, effective Jan. 1, 2018. Dr. Douville will be responsible for patient quality and safety, physician relations and medical staff leadership development. 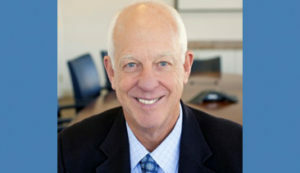 Previously, Dr. Douville served as chief medical officer at Good Samaritan Hospital in San Jose, where he was instrumental in building and sustaining physician and hospital networks, including successes in clinical program development and management, regulatory compliance, and recognition. Dr. Douville received his medical degree from the University of Kansas School of Medicine and is board certified in neurology. He has served on the medical staff at Good Samaritan Hospital in San Jose and El Camino Hospital in Mountain View and runs a private practice in the Bay Area. Char Marrazzo serves as the marketing director for Gilroy Life newspaper. If you're interested in discussing advertising opportunities to reach every household and business in Gilroy, please contact her at 408-607-1998 or email her at sales@gilroylife.com.